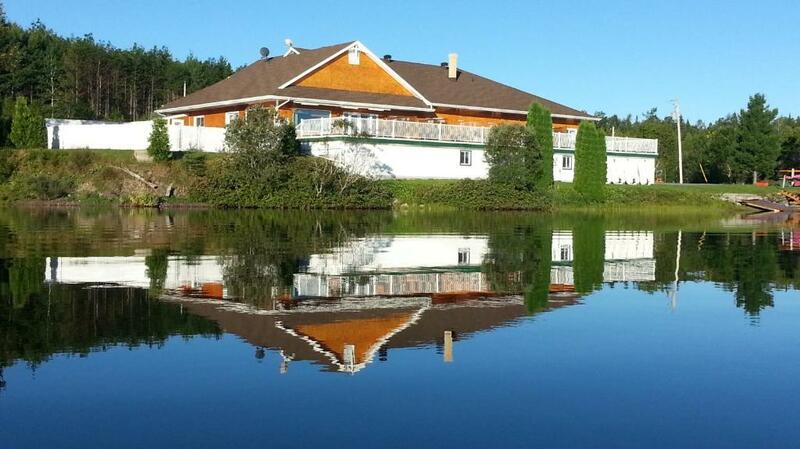 Lock in a great price for Auberge Du Lac Malcom – rated 9.2 by recent guests! If you need to get sometime off from your busy modern life, this is the right place for you. Our room had a very beautiful lake view as well. We stayed only one night at Auberge but the room exceeded our expectations, especially the kitchen with all the equipments. Amazing view on the lake. Everything was perfect, fast check in process, great location and the nice owner. 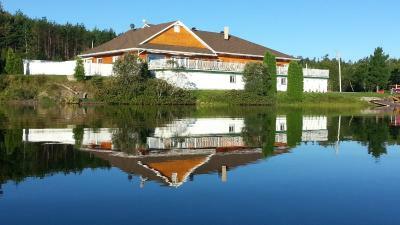 We stayed at this auberge on our road trip around the Gaspe Peninsula. We arrived quite late at night and were taken aback by the long dark drive to the auberge, which is joined with a campground and located in a quiet country location. The main building, where the auberge is, is very clean and decorated with charming retro Canadian travel posters. Our room (and all others it seems) backed onto a large patio overlooking the namesake lake. All of the facilities were good, and gave us a nice memory of our camping trips as children. Breakfast is offered for $5 and is toast, coffee, juice, and a huge range of spreads. Lovely staff. Beautiful lake view room with balcony. Good breakfast. Easy parking . Extremely quiet. Very friendly owners, our kids loved the pool and the playground. 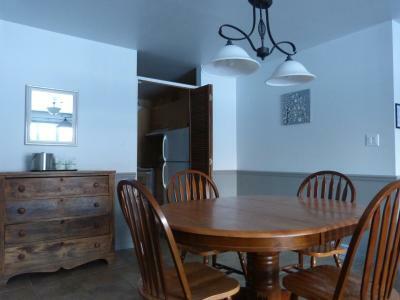 Beds are really comfortable and the whole property is in perfect shape, very clean. Every room has its own terasse with furniture with a beautiful view on the lake. Restaurant is in short distance, less than 5 k away. We will definitely come back. Charming waterfront hotel right in the middle of the nature. Room is clean and cozy. Staff (owners) are very courteous and polite. The view on the lake from the room. They let us in at 12:00 even if the check in time is 15:00. We went in the pool just the two of us with a life guard. We had our breakfast on the patio in front of the lake very romantic! Auberge Du Lac Malcom This rating is a reflection of how the property compares to the industry standard when it comes to price, facilities and services available. It's based on a self-evaluation by the property. Use this rating to help choose your stay! 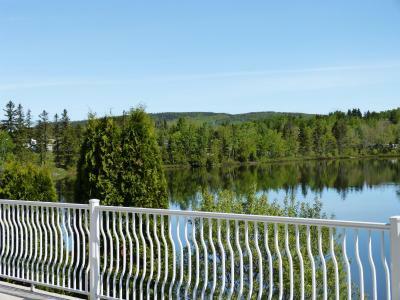 Featuring a terrace and Malcolm Lake views from all rooms, this Sayabec hotel includes free Wi-Fi. Paddle boat, kayak, and canoe rentals are offered. The Matamajaw historical site is 31 mi away. A flat-screen cable TV is provided in each guest room at Auberge du Lac Malcom. 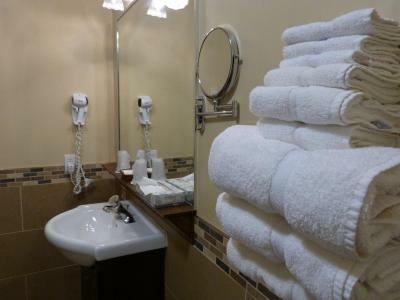 An private bathroom offers free toiletries for added convenience. Select rooms feature full kitchen facilities. A heated, seasonal outdoor pool is available at Auberge Lac Malcom – Sayabec. A walking trail leads guests around the lake. Fax and photocopying facilities are offered at this nonsmoking hotel. Revermont Golf Club is 33 minutes’ drive away. The Reford Gardens are 28 mi from Auberge du Lac Malcom. 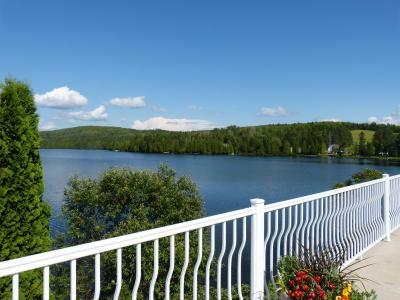 This property also has one of the top-rated locations in Sayabec! Guests are happier about it compared to other properties in the area. When would you like to stay at Auberge Du Lac Malcom? Featuring a terrace and lake views, this room includes a cable TV and free Wi-Fi. There is a private bathroom. 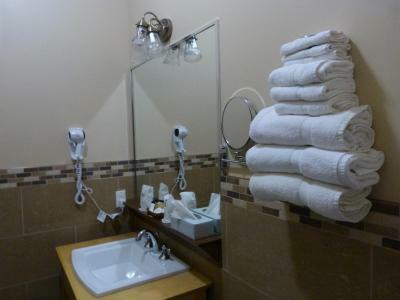 This room includes free WiFi and a flat-screen TV with satellite channels. It also includes a fridge, ironing facilities and a hairdryer. There is a private bathroom. 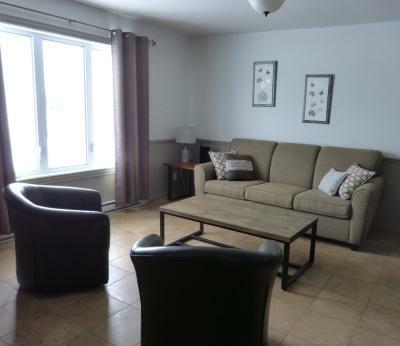 This spacious room offers a kitchen, seating area, and a terrace with lake view. A cable TV and free WiFi is provided. There is a private bathroom. 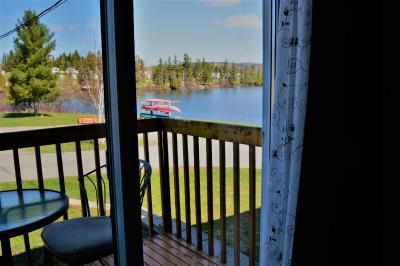 Featuring a balcony with a lake view, this room includes a satellite TV and free Wi-Fi. There is a private bathroom. This air-conditioned suite is fitted with a bedroom, a kitchen, a living room and a private bathroom. There are 2 satellite TVs and free WiFi. Guests can enjoy the terrace with views over the lake. House Rules Auberge Du Lac Malcom takes special requests – add in the next step! Auberge Du Lac Malcom accepts these cards and reserves the right to temporarily hold an amount prior to arrival. Please inform Auberge Du Lac Malcom of your expected arrival time in advance. You can use the Special Requests box when booking, or contact the property directly using the contact details in your confirmation. The main lobby area, where you eat breakfast, is somewhat lacking in ambiance. Maybe some music would be nice? Nothing except internet could have been a bit faster. Small of the nearby farm.